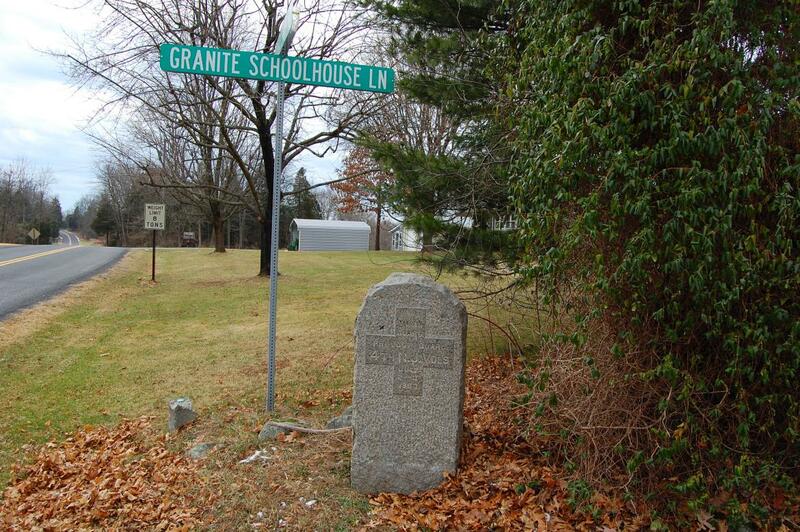 Granite Schoolhouse Lane, pictured here in 1934. Courtesy of the the Center for Civil War Photography, which has more than 1,000 historic Gettysburg Park images like these on their Flickr. 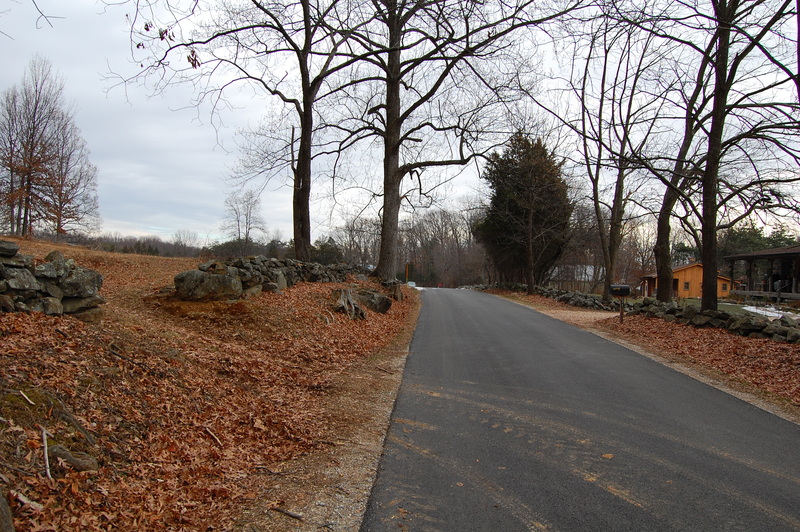 Constructed circa 1800, the Granite Schoolhouse Lane has remained relatively undisturbed on the south portion of the battlefield. The notable exception to this was the change from an earthen to macadamized surface, which took place in 1934. 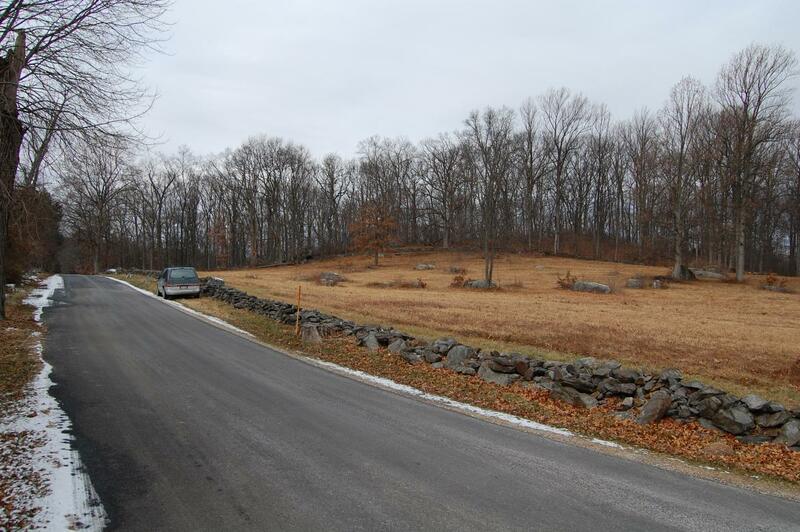 The project was completed by one of the Gettysburg camps of the Civilian Conservation Corps. 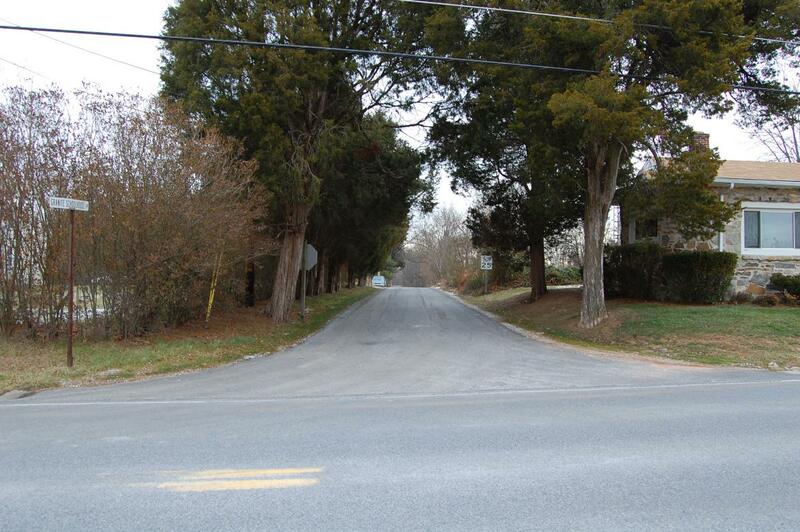 The entrance to the Granite Schoolhouse Lane from the Taneytown Road. This view was taken facing east at approximately 10:30 AM on Wednesday, December 22, 2010. 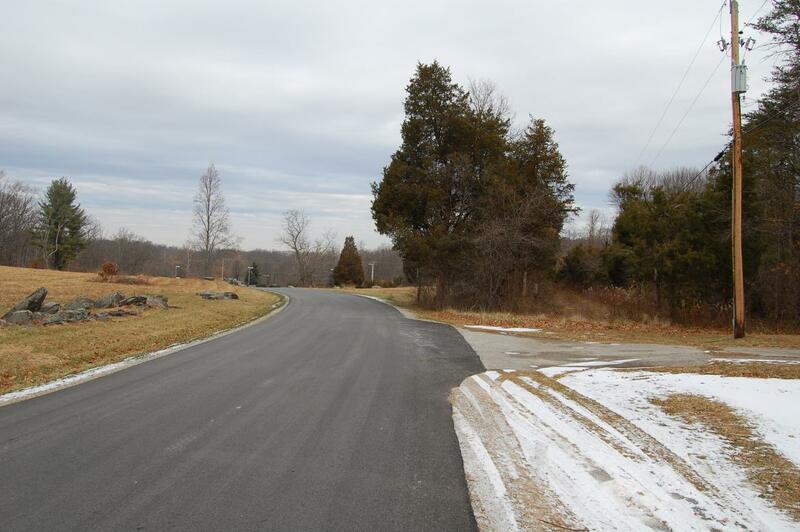 We have now turned to our left from the previous shot and are looking north up the Taneytown Road. The National Park Service Maintenance complex is … This view was taken facing north at approximately 10:30 AM on Wednesday, December 22, 2010. …the set of newly painted red buildings in the background. This view was taken facing northwest at approximately 10:30 AM on Wednesday, December 22, 2010. 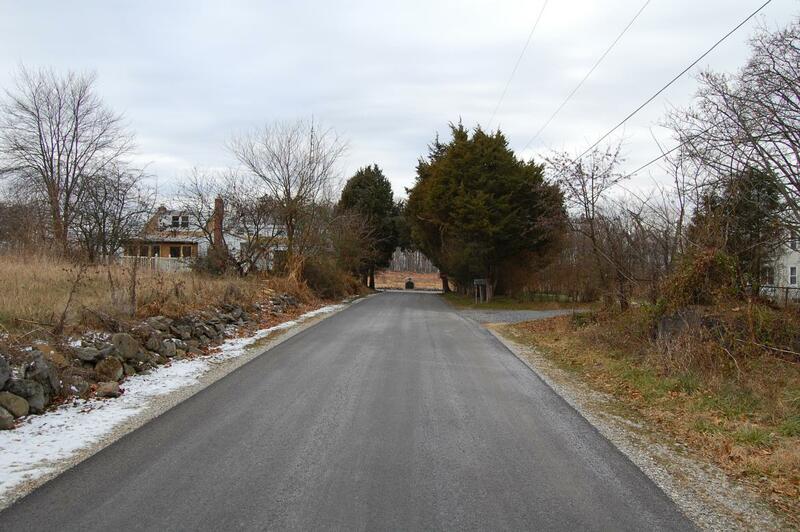 The road was one of the most important to Union troops because it connected the Taneytown Road and the Baltimore Pike on the south end of the battlefield. This view was facing east at approximately 10:30 AM on Wednesday, December 22, 2010. 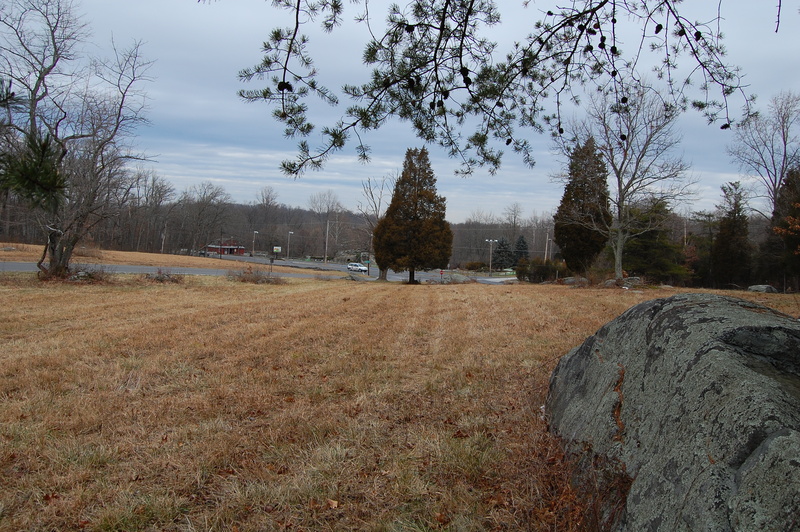 We are now looking back west towards the Taneytown Road — the marker to Fuller’s Battery C, 3rd US Artillery (Second Brigade Horse Artillery) is between the trees in the center of this shot. 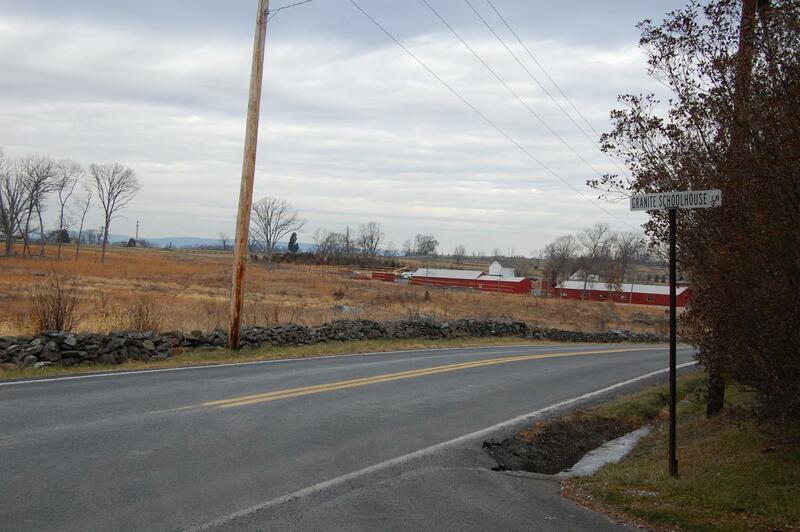 The battery was not engaged at Gettysburg and spent most of the three days of fighting in York, PA, and picketing roads to the south in Maryland. This view was facing west at approximately 10:30 AM on Wednesday, December 22, 2010. The north (left) side of Granite Schoolhouse Lane is National Park Service property, and includes Powers Hill. This view was facing east at approximately 10:30 AM on Wednesday, December 22, 2010. 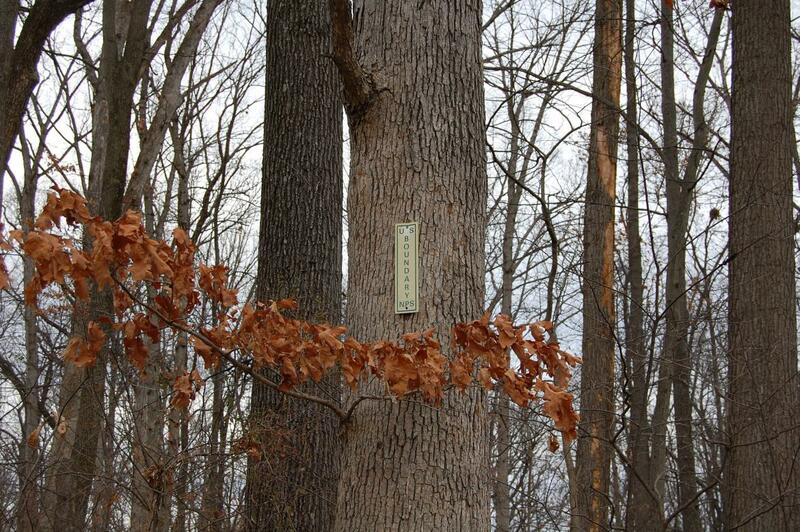 You can tell because of the handy “US BOUNDARY NPS” markers likes this one that are nailed into the trees at a few intervals. This view was taken facing north at approximately 10:30 AM on Wednesday, December 22, 2010. 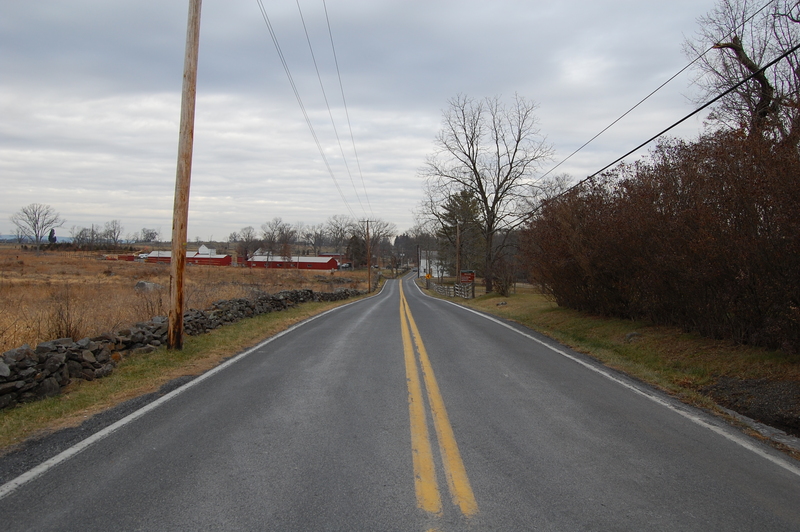 We’re now looking back towards the Taneytown Road. This view was taken facing west at approximately 10:30 AM on Wednesday, December 22, 2010. 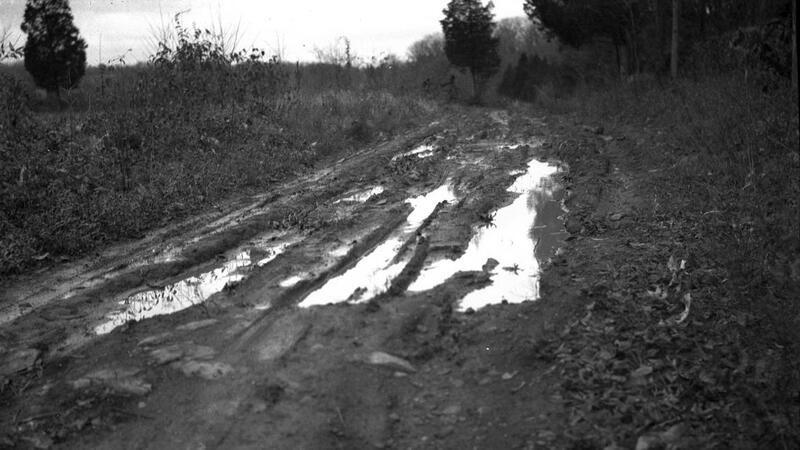 It always important to remember, when envisioning the movements of soldiers in the 19th century, to remember just how easily earthen roads deteriorated under wet weather. 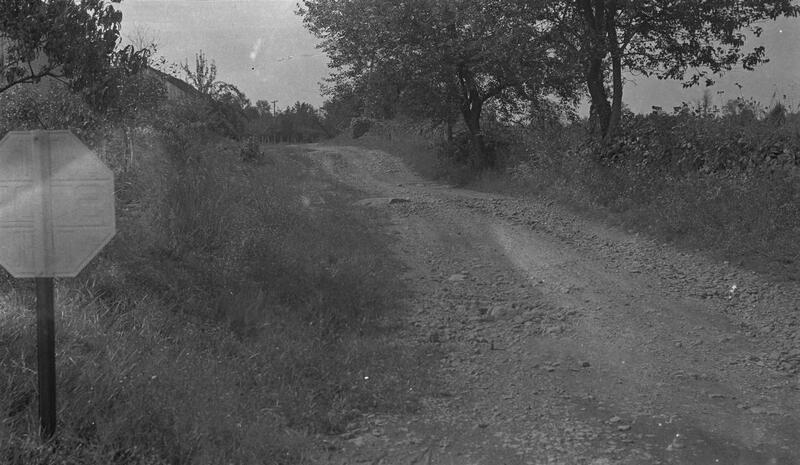 This image, like the other black and white photos in this post, were taken by the Civilian Conservation Corps, prior to macadamizing the roadway. This was taken circa 1934 and is courtesy of the the Center for Civil War Photography, which has more than 1,000 historic Gettysburg Park images like these on their Flickr. We’ve continued to follow the lane east towards the Baltimore Pike. 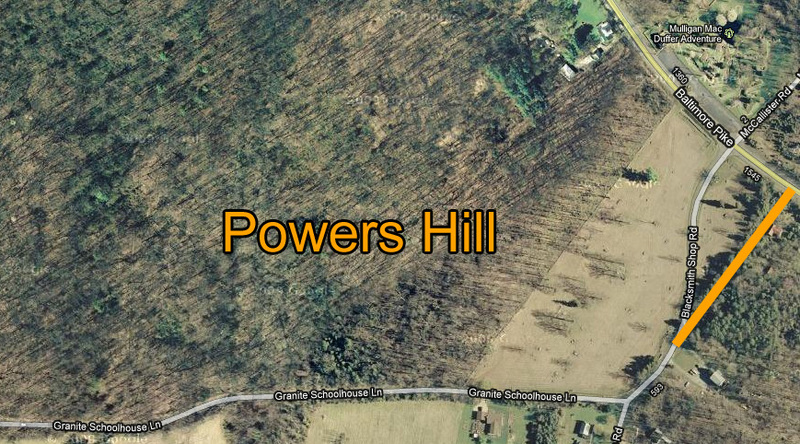 The break in the wall here takes you up to Powers Hill, whose future tree removal we covered earlier this week. This view was taken facing east at approximately 10:30 AM on Wednesday, December 22, 2010. Powers Hill is in the background. We are standing at … This view was taken facing northwest at approximately 10:30 AM on Wednesday, December 22, 2010. 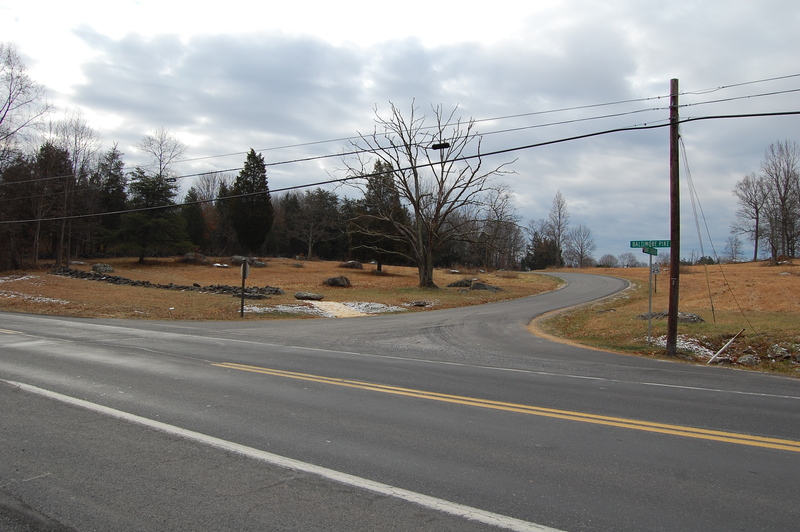 …this intersection, where the Granite Schoolhouse Lane continues to the left. 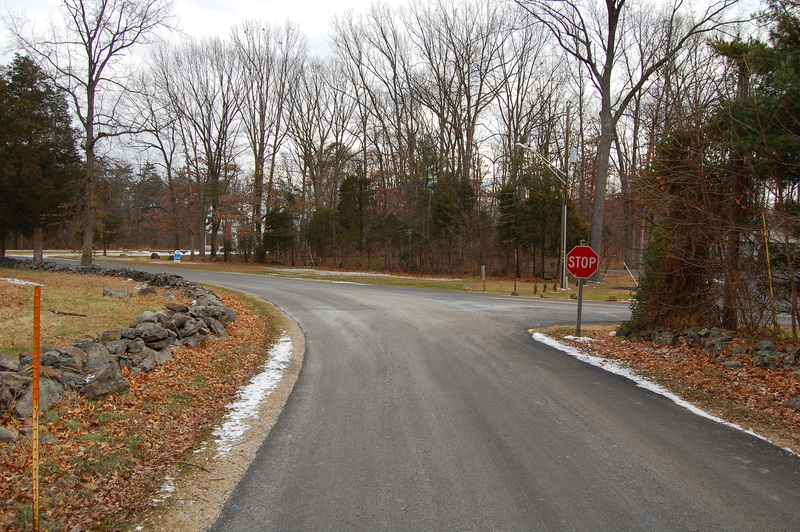 Blacksmith Shop Road joins Granite Schoolhouse Lane to the right of the stop sign. 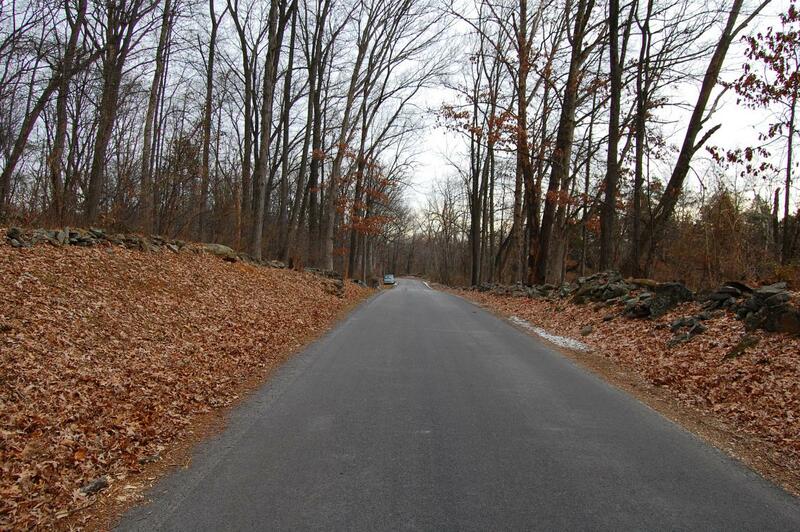 This view was taken facing east at approximately 10:30 AM on Wednesday, December 22, 2010. At the intersection is a marker to the 4th New Jersey Volunteers (Train Guard/Provost Guard on July 2nd and 3rd). Many of these soldiers were probably featured in the Forbes’ drawing and painting that we showed you on December 20th. This view was taken facing south at approximately 10:30 AM on Wednesday, December 22, 2010. 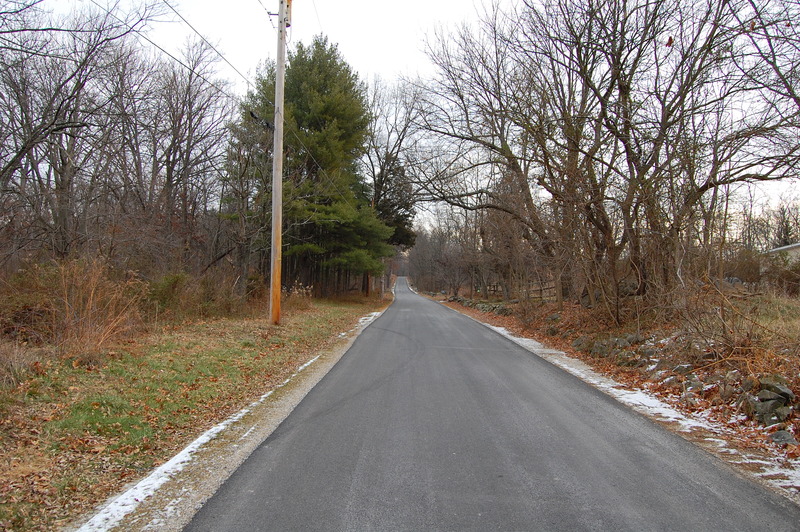 As we bear left on the Granite Schoolhouse Lane, you will notice a path in the right-hand portion of this view (to the left of the telephone pole) … This view was taken facing southeast at approximately 10:30 AM on Wednesday, December 22, 2010. 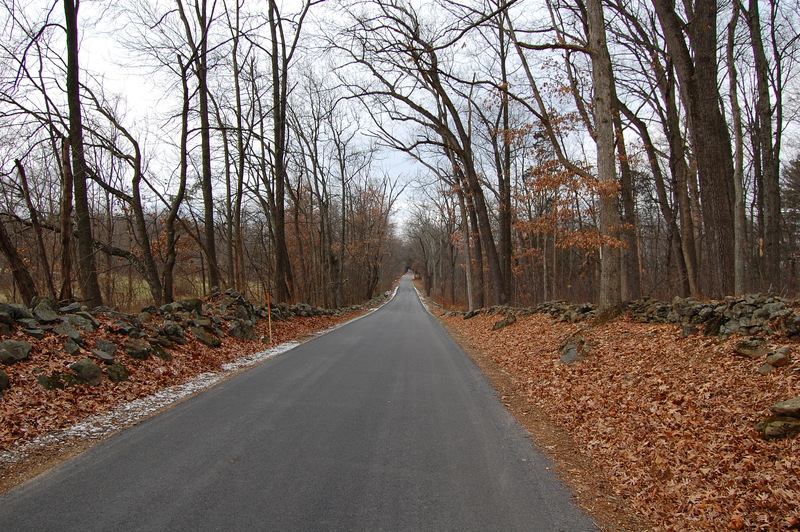 … This was the originally where the Granite Schoolhouse Lane continued on its way to … This view was taken facing northeast at approximately 10:30 AM on Wednesday, December 22, 2010. 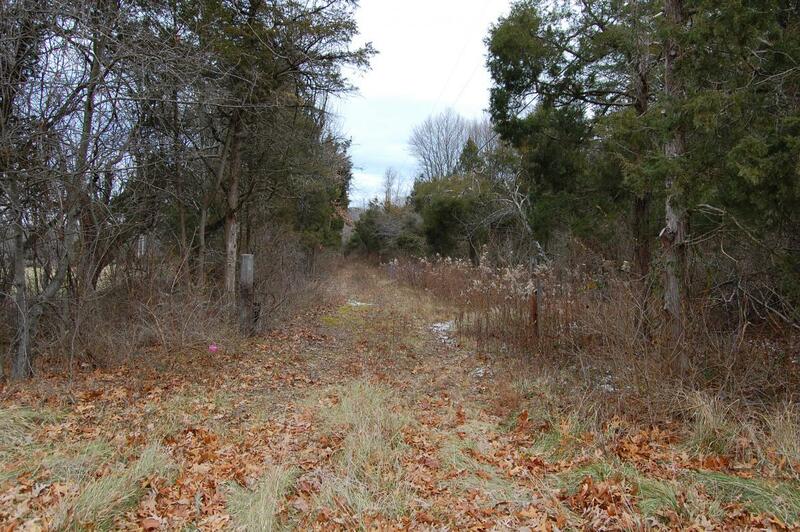 … the Baltimore Pike (behind the photographer in this image). 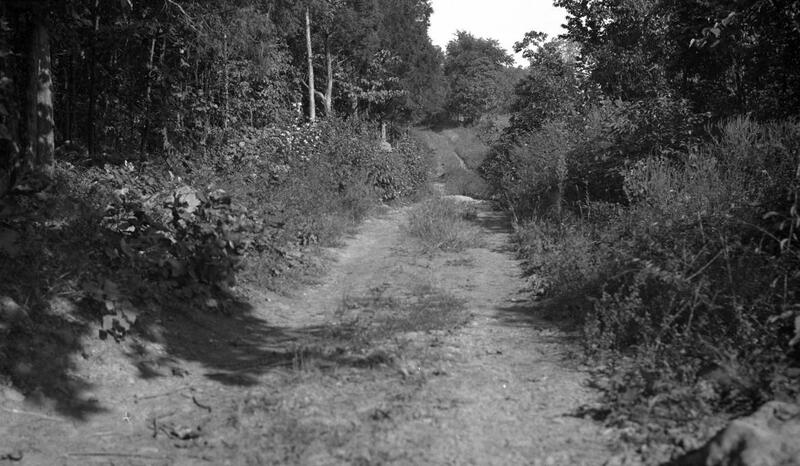 This view was taken circa 1934 and is courtesy of the the Center for Civil War Photography, which has more than 1,000 historic Gettysburg Park images like these on their Flickr. The road was diverted about 70 yards to the north and now meets the Baltimore Pike in the center background (as opposed to the far right of this image). This view was taken facing northeast at approximately 10:30 AM on Wednesday, December 22, 2010. The Granite Schoolhouse Lane runs from the Baltimore Pike (in the foreground) off into the center background of this image. 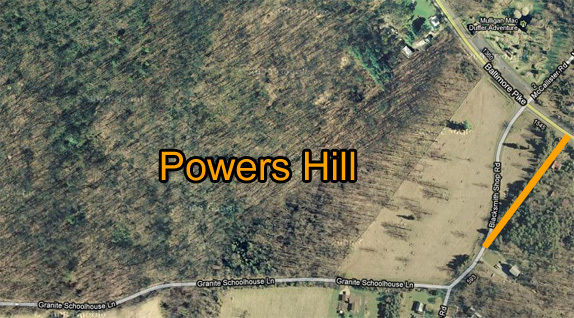 A portion of Powers Hill is barely visible on the right-hand side. This view was taken facing south at approximately 10:30 AM on Wednesday, December 22, 2010. The orange line represents the location of Granite Schoolhouse Lane prior to receiving its macadam surface in 1934.